Older buildings can give a neighborhood and an entire city or village a unique character that new developments don't have – especially when there are a lot of older buildings, as there are in the Greater Rochester area. And preserving the buildings is important, not just because they're nice to look at but also because they can attract residents and businesses and improve the community itself. To help with that preservation, every year the Landmark Society of Western New York selects five important parts of the Greater Rochester region's built environment for special recognition: inclusion on its Five to Revive list. 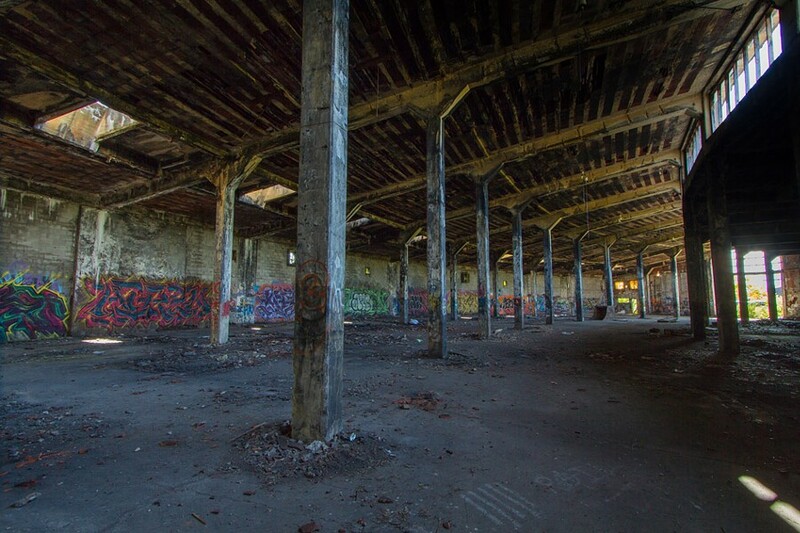 The list consists of things – buildings, usually – that are important historically but that also need help and that, if they're rehabilitated, can serve as "catalytic projects" in their communities. This year's Five to Revive list includes four buildings: the Elim Bible Institute in Lima, the Lehigh Valley Railroad Roundhouse in Manchester, the DeMay Hotel in Greece, and the Tent City building in northwest Rochester. The fifth selection is not a building but a building element, one with big visual and nostalgic appeal: front porches. 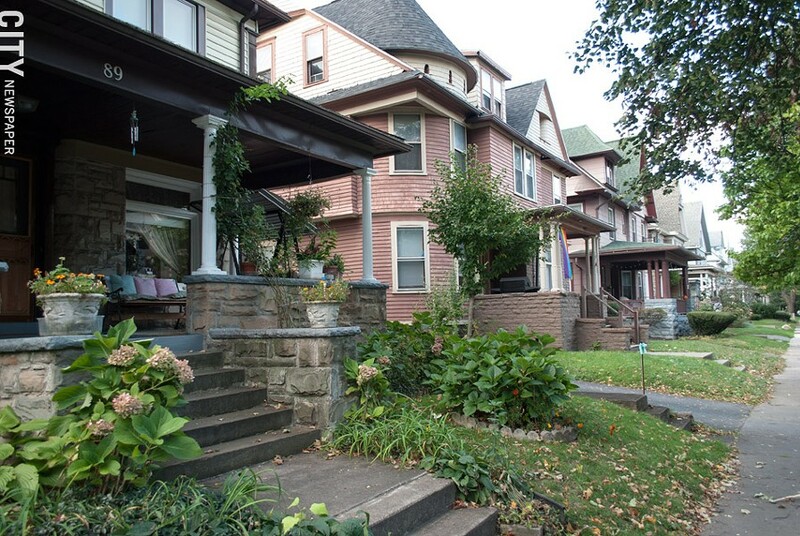 Front porches, the Landmark Society says, are an important part of individual houses and are also important to many neighborhoods in the city and the region. But they're a bit of an endangered species. Because they're exterior features of a house – and are often made partly or completely of wood – they're vulnerable to deterioration. Including front porches on the list is a good example of the purpose of the Landmark Society's annual selection. "Five to Revive," says the Landmark Society's executive director, Wayne Goodman, "sheds a light on a need." It calls attention to significant buildings and architectural features that the public may not know about or, in the case of front porches, may take for granted but that need help in order to survive. As they decide what to add to the list each year, Landmark Society leaders and staff also consider the potential use for buildings and elements. "One of the important things about preservation is to make sure it has a viable use," says board president Tom Castelein. "You can't just put it behind a velvet rope and say, 'There it is.'" "That's not sustainable," Castelein says. "It really isn't." Five to Revive illustrates the Landmark Society's interest in both neighborhoods and economic development, says Larry Francer, the organization's associate director of preservation. "That's what preservation is," he says: not just making individual buildings better, "but whole communities better." Sometimes the Landmark Society's recognition helps property owners get grants or other support. Sometimes the listing attracts new owners. Sometimes it does both. That was the case with the Eastman Dental Dispensary on East Main Street, which was included on the first Five to Revive list, in 2013. The building, now restored and serving as a senior housing complex, was built in 1917 for a center founded by George Eastman to provide dental care for poor children and training for future dentists. But it had been vacant for years. The Five to Revive recognition helped bring it to developers' attention and also helped leverage state funding for rehabilitation. 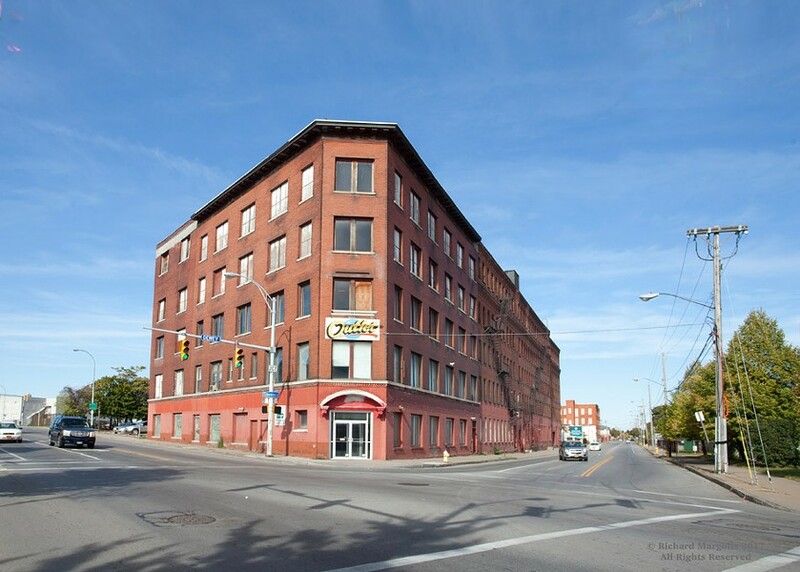 The Dental Dispensary's preservation and reuse has not only protected an important building but has also helped spur efforts by neighborhood groups and city officials to strengthen that area of East Main Street and connect downtown to the Public Market area. Also important is the Landmark Society's focus on structural elements like porches. Preserving and finding new uses for buildings like Tent City and the Lehigh Valley roundhouse won't be done by a single individual, but many preservation efforts do depend on the work of individual owners of houses, small institutions, and commercial buildings. And it's the grouping of houses, institutions, and commercial buildings, and collections of elements like porches, not single grand mansions, that give communities a unique character. That kind of preservation can be fostered as much by awareness and knowledge as by money. Numerous resources are available in libraries and specialty publications, and the Landmark Society itself is a resource for guidance and contacts with skilled tradespeople. Elim Bible Insitute in Lima. The Elim Bible Institute, in the Village of Lima, Livingston County. 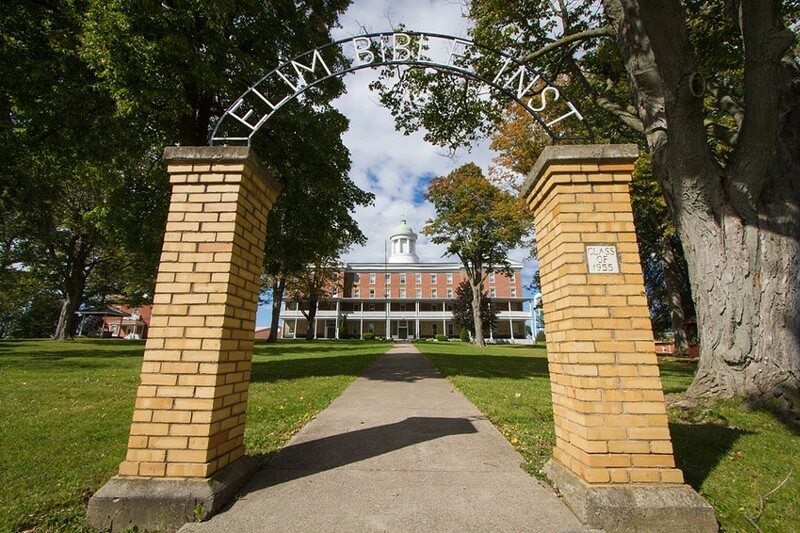 An educational institution founded in 1832 as a Methodist seminary, the property was bought in the 1950's by the Elim Bible Institute. While the entire campus has the potential to serve a variety of community uses, the Landmark Society says, its centerpiece, College Hall, needs major repairs, something that small religious institutions find almost impossible to finance. Inside the Lehigh Valley Railroad Museum in Manchester. Lehigh Valley Railroad Roundhouse, Village of Manchester, Ontario County. Built in 1916, it's one of the few train roundhouses left in the northeastern US, the Landmark Society says. It went out of use in 1970 and has been in property tax default for more than 20 years, and has been deteriorating, but local officials believe it has development potential. The Hotel DeMay in the Town of Greece. Hotel DeMay in the Town of Greece, Monroe County. An unusual survivor in a town dominated by contemporary suburban residential and commercial development, the little hotel was built in 1909 and has been vacant since the early 2000's. Developers have had their eye on it, hoping to tear it down and replace it with a gas station and convenience store. Last winter, fans of the hotel formed a group they're calling Save the DeMay and have been pushing for its preservation. The Tent City building on Lyell Avenue in Rochester. Tent City building, 280 Lyell Avenue, Rochester. Vacant for more than a decade, this five-story brick building was originally a chair factory on the bank of the Erie Canal. From 1959 through 1999, it housed Tent City, a lively store for campers and other outdoors enthusiasts. Now, area residents and business leaders hope it can be redeveloped and again contribute to the vitality of the neighborhood. Front porches on Rutgers St.
Front porches. Common on older houses of a variety of architectural styles throughout Western New York, front porches "are integral to both their appearance and their function," says the Landmark Society. While garages are a dominant feature of the facade of many newer suburban houses, front porches make a different social statement. They're an extension of the interior living space, connecting the private life of the occupants to community life outside, and, as the Landmark Society description says, they invite "approach and interaction." Front porches direct life from inside the house outward. Rather than seeming to be barriers, they seem welcoming. And a street lined with multiple houses that have front porches is not only attractive but in warm weather, it's often livelier. There are people there, interacting with neighbors and passersby. But porches are unusually susceptible to deterioration and damage, often unseen for years. Railings, floors, ceilings: all are open to the elements all year long. And, the Landmark Society notes, repairs can do more harm than good if they aren't done well and with materials consistent with the architectural style of the house. The extreme: ripping off the porch to avoid the cost of repairs. Removal or improper restoration harms both the character of the house and the character of the neighborhood.